Get Valentine’s Day Menu home delivery! Do you want to celebrate Valentine’s Day with a romantic candlelight dinner at home? Entrust the menu to us – the culinary wizards at restaurant Este have selected the best because that’s what the most special person deserves in the most special night, right? 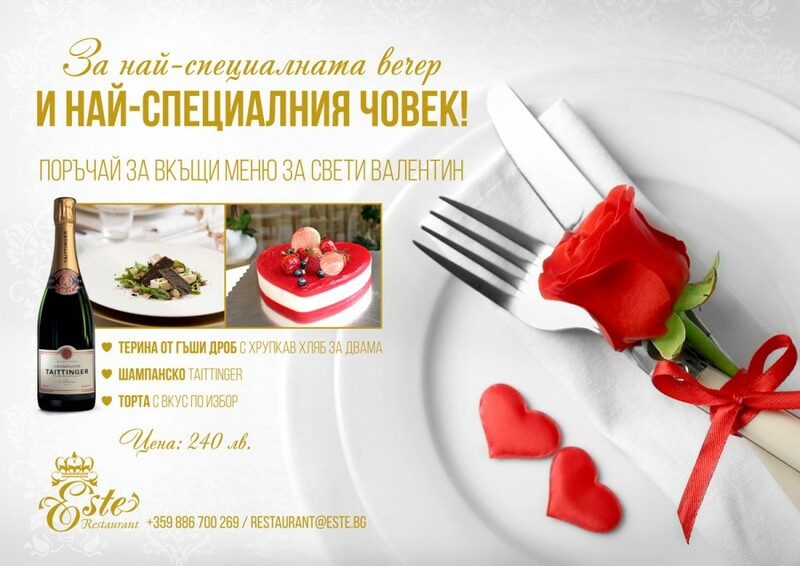 Order our Valentine’s Day Menu on restaurant@este.bg or 0886 700 269 and 0879 814 323!